In June 2016, Professor Yuefeng Xie was invited to Hunan University by Professor Hao Tang prior to Tang’s appointment at Indiana University of Pennsylvania. Xie and Tang visited many universities in Hunan, Shaanxi, and Shandong province, including Hunan University, Xiangtan University, Xi’an University of Architecture and Technology, Xi’an Jiaotong University, and Shandong Jianzhu University, and gave a series of seminars. 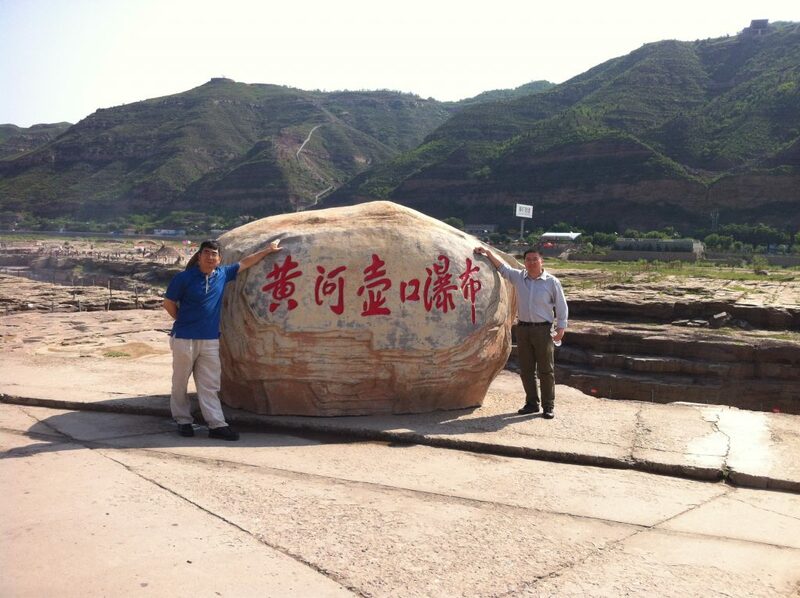 Xie and Tang also visited Hukou Waterfall and Yan’an during their tour of Shaanxi province. Tang worked for Prof. Xie as a graduate assistant and postdoc at Penn State Harrisburg between 2005-2012. He accepted an industry position and moved to Minnesota in 2012. Tang and his family will move back to Harrisburg area in the summer of 2017.